You no longer need a dedicated fax line. A free 086 fax number is allocated to you and you may start using any of the fax services right away! Simply sign up for the service using your name and email address. Remember that the name you use will appear on faxes that you send. Type in your full company name, or you complete name. As long as the fax number is used, it will remain active. Sending faxes by email is as easy as sending email attachments. This is a paid-for service. 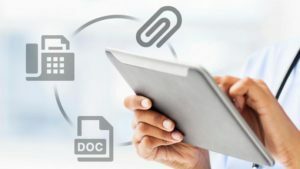 You are able to send faxes from a computer, a tablet or smart phone. All you need is an email account. The service provider is able to fit a board into your existing fax machine to enable the network. Your board is allocated a dedicated fax number and a range of virtual faxes services is enabled through your fax machine. People send faxes to your number. The fax is then sent via the Internet – directly to your fax machine. You no longer need a dedicated fax line at your home or office. Hi good day i m interested in your free fax opportunity to make money! I just need to know how do i start how does it all work and who pays me! I have my own recruitment agency nd heard i could make money from each fax sent to my fax number. Step by step how does it work and how much comission do i make from getting each fax sent to my fax number! And wht are the reuirements. I look forward to your immidate reply. Please apply online at the “Become an agent” link. More info will be email once approved. We currently have Email2Fax and Fax2Email facilities set up for our company but we have been experiencing endless problems with our current service provider after a system upgrade. We are therefore looking into other service providers as a matter of urgency. 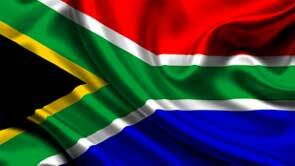 We are a South African company. Could you possibly get your sales team to contact us please? I would require more information regarding exactly what is offered and a cost breakdown. Sending faxes are based on LCR (Least cost routing) and it costs less than Telkom land lines. You may sign up and email us for more info. Please visit the contact us page for the email address.